Our May Chamber Breakfast will take place on Wednesday, May 8th at Barnesville Hospital, 639 W Main St, at 7:30 AM. 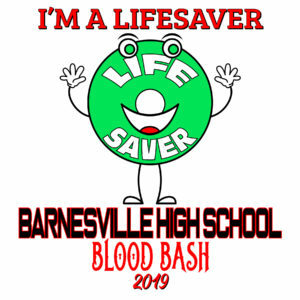 Please RSVP to the Chamber Office by calling 740-425-4300 or by email at bacc@barnesvilleohiochamber.com. Our June Chamber Luncheon will take place on Wednesday, June 12th at Sleep Inn & Suites, 41371 Reco Dr, Belmont at Noon. Please RSVP to the Chamber Office by calling 740-425-4300 or by email at bacc@barnesvilleohiochamber.com. Our September Chamber Luncheon will take place on Wednesday, September 11th at the Youth Center, 130 Fair St, at Noon. Luncheon is being graciously hosted by Sulek & Dutton & Pike 40. 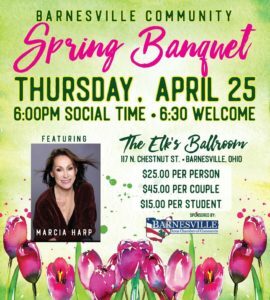 Please RSVP to the Chamber Office by calling 740-425-4300 or by email at bacc@barnesvilleohiochamber.com.